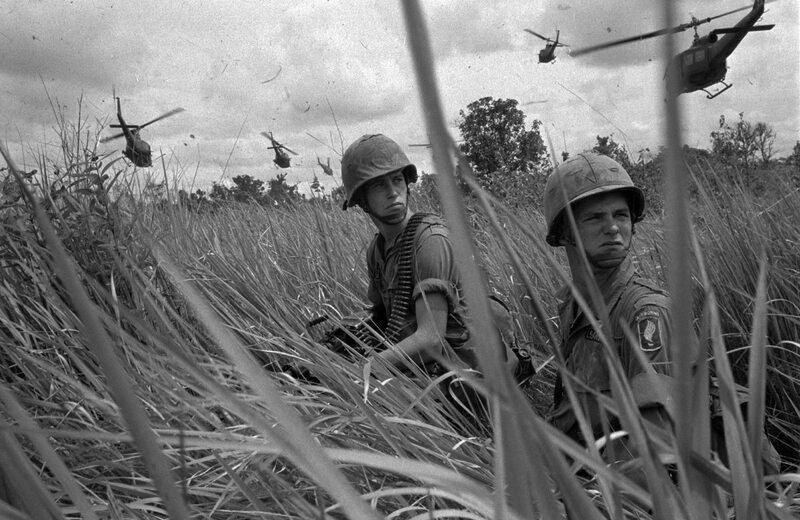 WASHINGTON — New research linking veterans’ high blood pressure with wartime exposure to chemical defoliants could dramatically expand federal disability benefits for tens of thousands of Vietnam-era troops. The findings, from the National Academies of Sciences, Engineering and Medicine, conclude that “sufficient evidence” exists linking hypertension and related illnesses in veterans to Agent Orange and other defoliants used in Vietnam, Thailand and South Korea in the 1960s and 1970s. They recommend adding the condition to the list of 14 presumptive diseases associated with Agent Orange exposure, a group that includes Hodgkin’s Disease, prostate cancer and Parkinson’s Disease. That’s an upgrade from past research that showed a possible but not conclusive link between the toxic exposures and high blood pressure problems later in life. If Veterans Affairs officials follow through with the recommendation, it could open up new or additional disability benefits to thousands of aging veterans who served in those areas and who are now struggling with heart problems. Veterans who struggle with high blood pressure issues are eligible for health care at VA facilities. But the illness is eligible for disability benefits in only select cases. Adding an illness to VA’s presumptive list means that veterans applying for disability benefits need not prove that their sickness is directly connected to their time in service. Instead, they only need show that they served in areas where the defoliant was used and that they now suffer from the diseases. That’s a significant difference, since proving direct exposure and clear health links can be nearly impossible for ailing veterans searching for decades-old paper records. A change in the designation of hypertension by VA could also add significant new costs to the department’s disability payout expenses. In 2010, when then Veterans Affairs Secretary Eric Shinseki expanded the list of presumptive illnesses for Agent Orange exposure to include ischemic heart disease and Parkinson's, the department estimated additional costs of more than $42 billion over a decade. It’s unclear how many veterans suffer from high blood pressure and would be eligible for disability payments if the change is made. In a statement, VA spokesman Curt Cashour said the department “is in the process of evaluating this report and appreciates the work” of the group. Regardless the cost, officials from the Veterans of Foreign Wars are already calling for VA officials to move ahead with adding hypertension to the list. The move could lead to a class-action lawsuit against the department over the denial of veterans benefits. Over the last year, advocates for “blue water” Navy veterans — sailors who served in ships off the coastline of Vietnam — have been fighting with department officials over a decision to deny them presumptive status in Agent Orange related claims. VA officials have insisted that scientific evidence does not exist linking their illnesses to exposure to the defoliant miles away from the Vietnam mainland. The new study is available at the National Academies Press website.